Below is a list of Frequently Asked Questions – if your query is not covered in this section, please do not hesitate to contact us. 1) How Do I Discuss Or Place An Order? 2) Is Advice Available Prior To Ordering? We are always happy to discuss orders and the services we provide. Whatever your question please feel free to ask. We want every customer to be delighted with their order so please do telephone or email us. Ideally we suggest at least a weeks notice but orders can be placed as far in advance as required. Last minute orders can also be placed but are subject to stock availability at the time. The majority of our flowers are bought from our suppliers based at the Dutch Auctions in Holland and prices therefore fluctuate on a daily basis due to seasonality and availability. However, we are always happy to send out a list showing availability and a guide to prices for specific months of the year. Whilst prices may change this helps to give an idea of the varieties of flowers and foliage available and a guide to the costs involved. Additionally we are able to give estimates of the predicted cost of an order once you have selected the flowers and level of service you require. No. We are happy to take orders of all sizes and treat all orders with the same level of care and attention irrespective of value. Delivery charges are passed on at cost but vary so please discuss this with us when placing your order. 8 ) How Do I Pay For My Order? Payment is by Debit or Credit card which is debited at the time of dispatch of your order. All major payment cards are accepted. An itemised invoice is attached to the order together with the card receipt. If flowers are to be sent to an alternative venue to the cardholder’s address, the receipt will be sent to the registered address of the cardholder. Orders can be dispatched any day from Monday to Thursday for delivery any day from Tuesday to Friday. We are able to deliver to all areas of Mainland UK. Certain restrictions apply to some areas of Scotland where overnight delivery is not possible. Please contact us for up to date details. If any item is not available prior to dispatch we will telephone you to discuss an alternative. Regular deliveries from our extensive list of suppliers around the world ensure a quick turnaround of flowers. Our premises are fully refrigerated which enables us to maintain peak freshness. All flowers received for specific orders are kept in separate refrigerators, prior to dispatch, to prevent over handling. This depends upon the variety of flowers ordered but generally they are placed in buckets of water inside durable flower boxes. 15) Will I Need To Condition My Flowers On Receipt? Although the majority of flowers travel in water they will still need to be unpacked and conditioned as soon as possible following receipt. Certain varieties, for example Lilies, should be ordered in advance to ensure they have plenty of time to open prior to use. 16) Do I Have To Be Present When My Order Is Delivered? Whilst it is preferable that someone is available to take delivery of the order (particularly during hot and cold weather), arrangements can be made for the courier to leave the delivery in a secure place. This should be discussed at the time of placing your order. Whilst every attempt will be made to deliver your order on the date requested, we cannot be held responsible for any circumstances beyond our control. Most deliveries are received between 8am and 5pm. If a specific time slot is required please discuss this when placing your order. (Please note that additional courier charges are levied for specific time slots). 19) Can Orders Be Delivered To Any Venue? Orders can be delivered to any venue in mainland UK, provided prior arrangements have been made with the venue and there is someone available to take responsibility for the order on receipt. 20) Can Orders Be Changed Once Placed? Whilst we will always try to accommodate any last minute changes, once the order has been placed with our suppliers, the order must be processed. Additional items can be added at any time, dependent upon availability. I would like to order flowers to make my own wedding bouquets for my wedding, is it possible to have a list of prices please? Hi I am looking at ordering flowers to make my uncles 17inch open heart wreath for his funeral on the 15th Feb, is this something you could help with am I able to come to ur warehouse and order or is it online only? Please would you send me your list of availability and guide prices? I am looking for flowers for an event in 2 weeks and am not sure what you would have. I’m getting married in August this year and wondered if you could send me a stock list for flowers available then? I’m looking to do my own centrepieces with a variety of bright flowers! Hi, do you have a brochure with photos and prices for an October(2018) wedding? I plan to visit the warehouse with my daughter at some stage. My eldest daughter had her flowers from you for her wedding 3 years ago and we were delighted with them. Lovely to hear from you again and I hope you are all well. I will email you more details regarding flowers for your daughter’s wedding in October. Good afternoon Denise. Thank you for your enquiry regarding flower supply for a wedding in July. I will email a response directly to your email address and look forward to hearing from you. Hi,I am getting married march 27 the and am looking to do my own flowers. Could you email me a price list ? Thank you for your enquiry and congratulations on your forthcoming wedding. Whilst we would be delighted to supply you with the flowers you require the problem is going to be in getting them to you in time for the wedding. Due to the weekend following directly after Christmas Day and Boxing Day the first day we could dispatch an order would be Monday 29th December so they would not arrive until sometime on your wedding day. Due to various factors which need to be taken into consideration at this time of year – primarily the weather – this, I fear, would be leaving everything too late. The only alternative would be to send them to you for arrival on December 23rd and you would then need to keep them somewhere cool until the wedding – at this time of year this should not be a problem but the decision on this would be entirely yours. If you wish to discuss this in any further detail do please either give me a call – 023 9259 1422 or email me sally@nurseryfresh.com. Please can you send me a price list as a rough guide. I am getting married next year and my mother is arranging my wedding flowers. We are keen to see your prices as we live in Horndean and it would be an ideal location to purchase the flowers from. Hi Jodie and thanks for your interest in us. The best thing, if you are local, is to make an appointment and call in for a chat. You can then see how we work. In the meantime, can you let me know what month of the year you are getting married so that we can be more accurate with prices. I understand from Sally that she has now made contact with you. My fiance and I are getting married in Ponty in August in a 2-bride wedding and have some pretty specific requirements for our own bouquets, but want to (if possible) get the bridemaids and table flowers unstyled – i.e as they come from the markets etc. The bridesmaids will style the tables and make their own small bouquets from the selection we get. I have a written explanation with some photo examples etc – am I able to send that to someone to get an idea of prices/availability etc? I am sure that we will be able to supply your requirements. Have found your site really helpful, thankyou. I am looking to do the flower arrangements and bouquets for a friends wedding in early September, Please can you let me have a price list for approx costs and an idea of what is seasonal around then, the colour scheme is claret and pale blue. I am very pleased that you find our site helpful. Someone will contact you today with a price list and some ideas for your friends wedding. my friend and her partner are having their wedding this July and I’ve offered to do the table decorations and possibly bouquets. It’s a countryside wedding and the reception is in a pub with a marquee in the garden, so they’d like countryside, natural-looking arrangements. They are also on a tight budget. Please could you email me your pricelist to give an idea of the type and quantity of flowers they could get on their budget? I Have passed your request to Sally who will send you a price list. My daughter is getting married on 25th June this year. Is it possible for us to make an appointment to come and see you for advice on the ordering of flowers. The plan is that I will do the table flowers and a friend has offered to do a pedestal arrangement at the hotel. However, we willneed someone to make the bridal and bridesmaids’ bouquets. I am not an experienced flower arranger so need help with the quantity of flowers and foliage I need Can you help me please – I am beginning to panic about this!! Yes we can help you so please don’t panic! Would it be possible to email me current prices please? I have recently started a floristry course and have been told to contact you by my tutor. I have recently learnt how to do advent rings and christmas wreaths, I might have a few members of my family and friends interested in these. I am looking for somewhere to buy foliage and wondered if you could give me any ideas on where I can purchase these? I am looking for blue spruce, eucalyptus cinerea, pittospurum tobira and holly. Yes we can supply everything you ask for, so I will ask someone to contact you tomorrow. Please can you send me a current price list for all of your flowers? Thanks for the request, someone will email it to you on Monday. Many thanks for your interest in our company, I have passed on your information to Clare who will contact you shortly. Am I able to bring a bride to be to view your flowers so that we can pick an exact colour pink or is it only online service? You are more than welcome to bring your Bride down to visit us. We are always thrilled to meet our customers. Although we are open Monday-Friday 8.00am until 4.00 pm and Saturday 8.00am until 11.00am, it is wise to make an appointment so that you can be assured of our complete attention. I came across your website via Ebay. I am getting married on October 29th and as we are in the middle of buying and renovating a house, I have to stick to a budget and thought that doing flowers myself would be better than the huge quotes I have had from florists but don’t know where to begin with deciding on quantities needed for a church arrangement, a brides bouquet, a small flower girl posy for my niece and three button holes. 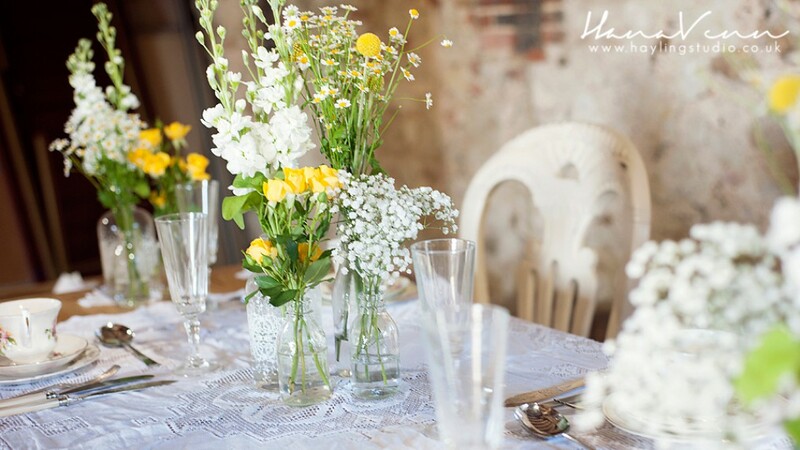 Plus table arrangements for the reception- although the ‘theme’ for this is very simple and vintage and I have been collecting jamjars for those. Colour scheme- lots of creams and, hopefully, blues with some thistles but happy to take advice. I am sure that we can help you. So pleased I have stumbled across your website – you look exactly what I need! Could you send me a price list – need golds, yellows, bronzes and reds for October 16. I’m hoping for red/deep orange calla lillies, Leonidas roses and others for a bridal bouquet and a big pedestal arrangement. I have been away from the office today but understand that Sally has made contact with you regarding your enquiry. Could you please email me a current price list. I am responsible for regular flower arrangements in a parish church. I am looking for a regular supplier and have to order flowers for our harvest festival very soon. I also do arrangements for weddings on request. Hope the information you were sent was useful – do get back in touch if we can be of any further help. Many thanks for your email via our website requesting details of availability of flowers between Christmas and New Year. It is of course a difficult time of year for flowers and especially this year and next year where Christmas falls over a weekend which makes the holiday period longer. Our last delivery from Holland would be the week before Christmas but as we have refrigerated cold stores we could keep the flowers for you and then dispatch them to you on either Wednesday 28th December or Thursday 29th December for receipt by you the following day. This is completely possible but of course you have to realise that the flowers will have come in the week before – however we have supplied flowers on this basis in previous years and the recipients have been delighted with their flowers. Our deliveries are by overnight courier – the cost for this service is £10.00 for the first box and then £8.50 for each subsequent box in the same order. The number of boxes used depends on the quantity and variety of flowers ordered but we are usually able to give a rough estimate when the order is placed. I hope the above is of help and look forward to hearing from you again. Hi, I’m getting married in October and I intend to do my own wedding flowers for the table decoration. Could you please advise me on the types of flowers available during this season and can I have a current price list so that I can have a rough estimate of how much the flowers would cost? Also wondering if you do the bride’s bouquet. Could you suggest something which is suitable for a petite bride? Thanks so much. Thank you for your enquiry via our website and we would, of course, be delighted to supply you with flowers for your wedding in October. As requested, I have pleasure in attaching a copy of our current price list which I hope will be helpful – the price list details the flowers and foliage we currently have in stock but is only a sample of the varieties we are able to source from our suppliers worldwide. If you could give me more of an idea of the wedding theme/colour scheme/any flowers you have in mind I can be more specific on availability. Whilst we are able to make bouquets, these cannot be sent by courier so you would need to live close enough to us to be able to collect – we are just outside Portsmouth, Hampshire. If you are petite, you would need to keep the bouquet fairly small – perhaps a small hand tied bouquet of roses and/or calla lilies would be good – again without knowing your colour scheme etc it is hard to advise. Please note that all prices quoted are based on current prices only and exclude VAT at the current rate of 17.5% and any delivery costs. I hope this will further clarify the service we are able to offer and that you will not hesitate to contact me should you require any further information or advice. Please can you send me a price list and also advise what cream flowers would be in season for a wedding on 11th March. Hi Im a freelance florist working from home and wondered whether i could have a price list please. I am doing my own wedding flowers (well the centrepieces and bouquets!) – and want approx 100 stems of oriental stargazer/ dark pink lilies (pref 4 buds per stem) and 100 large avalanche ivory roses – and some green leaf type stuff (but no idea what or what it’s called!) wedding is late september – I know prices will change but would like an idea if you can please share a price list? I have passed this on to Sally and Clare, who will reply to you by email, in full, later today. In the meantime, roses are sold in 20’s and Lilies in 10’s, so your your ‘trial’ will be fine. I will let the ‘experts’ answer the rest!! I am currently looking into cost of flowers for our wedding next year. I know prices are likely to change between now and then but would it please be possible for you to send a current price list to give me some idea of what to expect. In particular I am interested in prices for Schwartzwalder calla lillies and cream & amnesia roses. Thank you so much for your e-mail. I have sent your details to Sally, who will respond as soon as possible. Yes, prices will change, they have been slightly lower recently, but the auction was very firm today, and Westland Auction closed at 8.00 am today because trade was brisk and they sold out!! This will no doubt mean that prices may creep up over the next week or two. It will also depend on the time of year that you are planning to get married. Please can you send me a current price list.I am also interested in seasonal flowers for the end of august for a Ruby wedding anniversary client wants red and yellow roses and i am looking for others flowers and foliage to complement.I will be doing 6 table centres ,a small pedestal arrangement and long and low mantlepiece arrangement. I also have a church wedding at the beginning of sept so am interested in seasonal for this time also,i asume this will be much the same. Can you also let me know how the bunches of foliage come , are they by stem, bunch or does it depend on type. We will send you a current price list and details of seasonal flowers as soon as possible. Please could you send a price list which I can use as a guide. Many thanks for your enquiry. Callas are generally bought in bunches of 10 stems. We will email you a price list later today. Many thanks for your enquiry Ruth – we will email you a price list later today. I have passed your enquiry to Sally who will contact you soon. White callas and white roses sound great and always look stunning in tall vases. I’m debating whether to do our flowers for our wedding next year (July) in terms of bouquets, buttonholes & centrepieces or just centrepieces. The main plan is to use sunflowers with some purple flower but I’m not sure what is in season! I understand that prices will change frequently, but would you be able to send me a price list so I can get a rough idea of what this may cost & try to work out how many I will need etc? Can you get cut herbs to use in floral displays? Am doing the flowers for a wedding in late July and would appreciate a current price list for ease of budgeting – appreciate these change hourly – but all ideas greatfully received. No problem, will get you a list off as soon as we can. I found your advertisement in ‘The Flower Arranger’, fresh flowers by post, no minimum order, brilliant! Please email your price list, thanks. We will get you a price list as soon as possible, once we have up to date Auction prices. I need to order some flowers for a wedding at the end of June. Could you email me a price list please? A price list will be on its way to you tomorrow. When you have had a look, then please call 02392483991 and speak to Clare or Sally who will be able to advise you. Hi, I am getting married on 7th May next year in Gt Bardfield in Essex, and would like to have a price list to see how much flowers are likely to cost at that time of year, as I am thinking of doing some arrangements myself. Thank you. We will send you a price list tomorrow which I hope will help you. Apart from volcanic dust clouds, which had an effect on South American and Kenyan flower exports, Mother’s Day in other countries can influence availability and thus prices, so although you are right to compare prices at specific times of year please take these other factors into account. Could I have a current price list please to get an idea of things. That’s really nice of you to say so Sarah, thank you – we try our best! Please can you e-mail me an upto date price list? We are looking for flowers and foliage for a wedding in early July, I am aware that prices fluctuate, but would appreciate a ball park figure. Please could you forward me your price guide to use a a rough guide for my wedding flowers. I was thinking ivory/cream roses/simple bouquets. Yes that’s fine, we will email you a price list as soon as possible. The prices shown will be current and can fluctuate almost daily – either up or down! We will, however, always stay in touch with you so that you are aware of changes. Hi, could you please send me a price list asap, i need to do some flowers for a funeral next Wednesday so would like delivery on the Tuesday, is this possible? I am starting out as a freelance florist, could you please send me your wholesale prices of roses. Passion/Grand Prix, avalance, akito and first red. I understand that price change a guideline will be appreciated. Good morning Mahad and thank you for your interest. I run a business pressing and framing flowers, wedding bouquets, memorial etc and i sell bridesmaid dresses. I am learning some floristry skills now and need to purchase flowers for practise, also for my flower pressing. Please could you send me a price list? I have passed your email address to one of my colleagues who will reply as soon as possible. I am also starting out in floristry,working from home and would also like a pricelist sending please. thank you for your interest in us. I am really pleased that you are sticking to fresh flowers despite your Fiance’s allergy! If you have not heard back from us already, someone will contact you directly as soon as possible. I am getting married in early October and looking for something that can be arranged simply by family and friends for table decorations – possibly something like Calla Lilies in tall lily vases? Can you advise what sorts of flowers are in season at that time of year – a price list to give me a rough idea of prices would of course be a great help. simply arranged vases of flowers can look stunning. Calla Lilies will be in season – locally grown!! and look fantastic in tall vases with steel grass. Someone will contact you either tomorrow or on Monday. I’m getting married on May 15th and am doing my own table flowers in tall long-stemmed vases. I would like to use white asiatic lilies or similar, perhaps with another cream or white flower, and also need some foliage which will drape over the vase edge to soften the look. Could you please forward me any suggestions and also a price list? I also assume I would need delivery a few days early to allow the lilies to open fully? I will get someone to email you prices and suggestions this morning. As always though, please feel free to call either Sally or Clare between 08.30 and 16.00 if it is more convenient for you or if you have more questions. Could you send me your price list please? I understand it will change but just want to get an idea of costs for my wedding flowers. We are looking to have Orchids (Purple). Can you supply these? Yes we can send you a price list and yes we can supply Orchids – there are several types so I will get someone to advise you. Could you send me your price list, I understand it will change but just want to get an understanding of costs for my wedding flowers. I have passed on your request and you will be hearing from us shortly. Im looking to get some Anemones for the 4th of September??? are you able to help? Thanks for contacting us Anne, it is nice to know that we have been recommended!! Deliveries are next day and I suggest that you let us have your order at least a week before. I will get someone to contact you as soon as possible. Hello, could I have a pricelist please. I am getting married in June and my fiancee would like white and light blue flowers. Any ideas? Sally or Clare will contact you today at some stage with ideas. Can I have a pricelist please? I’m getting married in July (30th) and will want blue and white/ivory/cream flowers. Any ideas? Someone will contact you as soon as possible with some ideas and price guide. You are always welcome to visit between these times also. We are getting married next june, could you please send us a price list. We are think of having mainly tulips, I am aware the prices will change but we just want an idea what things cost. Hi can you send me a current pricelist please. I am currently looking into flower arrangements for our wedding in October. I know prices are likely to change between now and then but would it please be possible for you to send a current price list to give me some idea of what to expect. In particular I am looking at simple white flowers. You are right about prices they do change daily, I am currently in Holland with our supplier and they change even by the hour! Please could you send me a pricelist for a guide. Also could you let me know what kind of flowers you will have available in very early June. For example, will you have peonies and sweet peas available? I am just starting up as a freelance florist. Can you send me a price list so that I can get an ideal of costs. I am looking to buy some bright-medium red flowers for my Wedding in July, i.e. for buttonholes, bridal and bridesmaids’ bouquets. Can you suggest some flowers to ensure a red colour akin to that of poppies/tulips but not as vivid as carnations? I love Grand Prix roses but they tend to appear quite dark in colour…what would you suggest? Also, I would like some flowers will hopefully last most of the day without wilting. Kindly also send me a price list. I read that you deliver from Tues-Fri, so if we had flowers delivered for Fri, would they still be in good condition for the Wedding Day on Sunday? Questions regarding colour and variety are best answered personally as there are many options. Flower colour can often change throughout the year and can be influenced by the regions they are grown in. It is probably better that we send you a price list after Mother’ Day, as prices will be inflated this week. Can you please let me know if you split wraps. I am a freelance florist and do not always required wraps of 20 to 25 at a time. whilst we do not operate a minimum order policy, we are predominantly wholesale and therefore are unable to split wraps. Hi, are you able to provide guidance on the number of stems required for arrangements/bouquets? Can you send me a pricelist. I am sure that we can give you some guidance. We will send you a price list ASAP. Hi I am a freelance florist working from home and looking to get flowers sent by post. Hurray I have found such a service – fab! Can you email me a price list so I can get an idea of what you offer. I have a 7 table lunch coming up for Friday 12 March and my client is Asian and she whats the hot pink and bright orange colour combinations. I know gerberas will feature as they are in season and colour but what else is available? And what is the cost? We will email you a current price list asap along with further details of our service. Thanks for your question. We will email you a current price list asap. Please note however, that prices quoted today will not be applicable in June. We buy from the Dutch Auctions so prices change on a daily basis. There will be a good supply of English Flowers in June, if you were interested, such as Sweet Peas, Calla lilies etc and we can give you prices for these items nearer the time.